Ways To Wave is a mixed reality installation by Adam Nash and John McCormick, comissioned and presented by the 01SJ Biennial, San Jose, California, USA. The work was installed at the San Jose Museum of Art and in the multi-user virtual environment Second Life as part of the 01SJ: Superlight exhibition from May 10 - August 30, 2008. 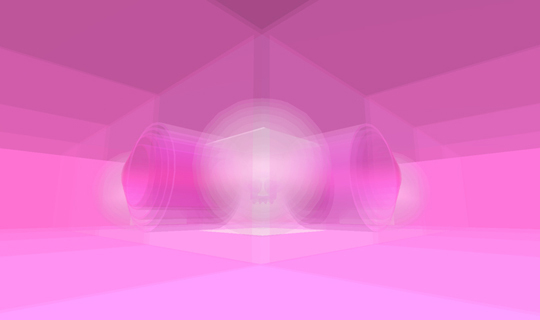 Ways To Wave is an immersive audiovisual volumetric sculpture in the virtual world of Second Life, which uses a custom controller installed in physical space to make music in both Second Life and Real Life. 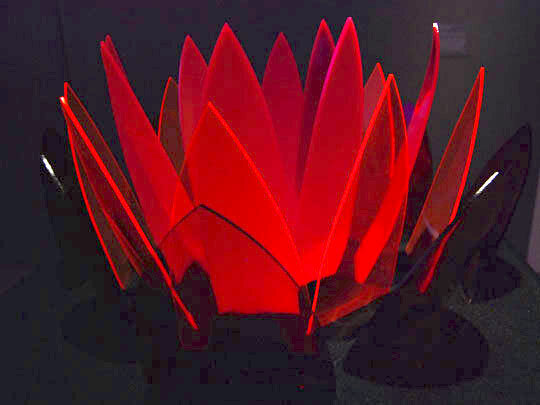 The controller is constructed of colored etched perspex, in a lotus-like arrangement of 3 concentric circles of 8 petals, which can be played with by the audience. 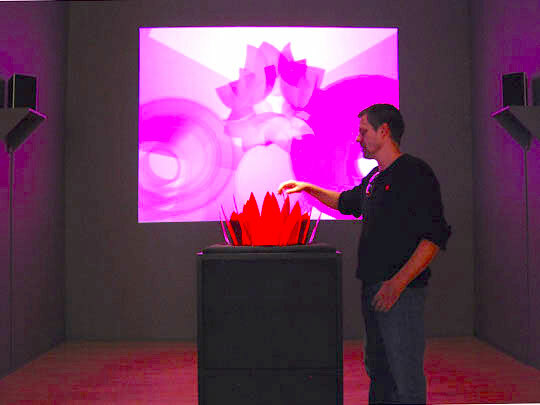 The position, angle and velocity of the petals each controls a different parameter of the virtual artwork, such as size, color, sound volume, and speed. 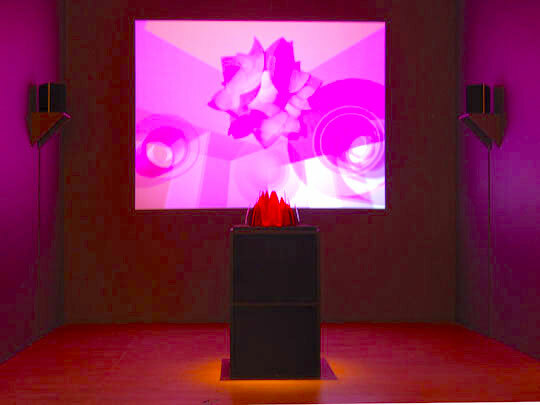 The result is an experiential audiovisual physical/virtual sculpture played collaboratively over the internet in real time by physical and virtual players. Using the physical device is just as playful as experiencing the immersive virtual artwork, which are in a symbiotic relationship, where each influences the other. Ways to Wave facilitates a collaboration across non-linear temporal space, dynamically reconfiguring physical and virtual space, visual and aural media, in a symbiotic lattice of experience.